Image quality, image quality, image quality – fabulous! A great camera with a few flaws that has really taken it up to the big boys in the top end full-frame DSLR market. Has every right to be considered a major contender by anybody looking to move into high end hardware. Will convert some pro photographers to mirrorless full-frame but I suspect not all. Welcome to the great digital mirrorless camera divide. 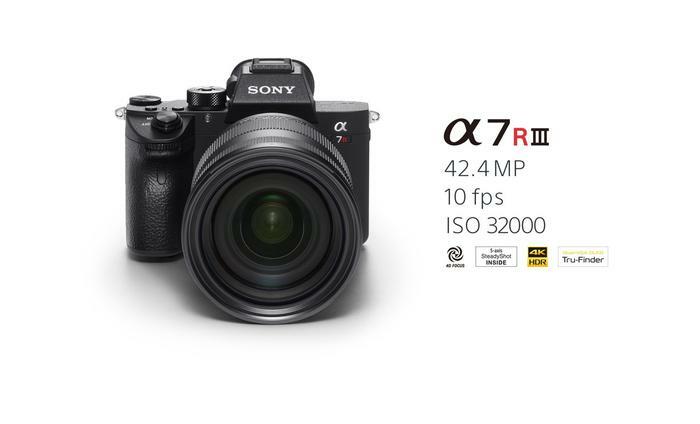 The Sony a7R Mk III full-frame has been touted as the camera that will turn full-frame DSLR professional photographers and camera owners away from their trusted – but bulky – full-frame set ups to the lighter-weight, feature-laden, mirrorless full-frame market which at the moment is mainly occupied by Sony and its Alpha series and, at the top end, also by Leica. Well, after a month with the Sony, I’m not shifting. Yes, this is a brilliant camera that takes fabulous photos and - apart from a few things that annoy me - is a top-level piece of equipment. And so it should be: the Sony – body only - costs $4999. That puts it up against all the top line Canon and Nikon DSLRs. And I would rather have any one of them. Why? We’ll get to that a little later. First of all let’s run through the specs for the a7R Mk III because they are very impressive. 42.4MP full-frame Exmor R CMOS sensor: The Exmor R sensor’s back-illuminated, gapless on-chip lens design increases light sensitivity and provides wide dynamic range, despite its high resolution of 42.4MP. Image processing: A new front-end LSI and BIONZ X boost processing speed, teamed with the Exmor R sensor, deliver up to 15-stop dynamic range at low ISO sensitivity for stills and deliver impressively rich tones. The standard ISO range has been extended to ISO 100-32000 (expandable to ISO 50-102,400), and noise has been reduced by as much as a full stop in the mid-sensitivity range. 14-bit RAW output for rich gradations: Contains rich tonal information from highlights to shadows, and is available even when shooting in silent or continuous mode. SuperSpeed USB 3.1 Gen 1 enabled by a USB Type-C connector allows high-speed PC Remote data transfer for smooth handling of large RAW data files (and they are large!). Focus: 399 on-chip phase-detection AF points and 425 contrast-detection points. Eye AF: Greatly enhanced Eye AF focuses on and tracks an eye with great precision and speed, even when a subject is moving, is looking down and away, or is backlit. And it really works. Pixel Shift Multi Shooting: Delivers impressive resolution, colour fidelity, and texture reproduction – but you are going to have to learn how to use it. So, it really is jam packed full of technology but then so are all of the topline DSLRs on the market. Make no mistake though, credit where credit is due, Sony have done a great job with the a7R Mk III. It corrects most of the flaws in the a7R Mk II and takes several steps forward. That said, why don’t I want it as my primary camera?